Dr. Johanna Mauss, ND, C.A. Dr. Schertell is a licensed naturopathic medical doctor who treats both adults and children seeking a natural approach over prescription medications. Dr. Schertell believes that the body is wise and that each person possesses the ability to heal when given the proper support. She will work to identify and treat the cause of imbalance rather than suppressing symptoms, and routinely performs physical exams and laboratory testing to assist with this process. Dr. Schertell is the Clinical Director and founder of Vibrant Health and has been in private practice since 2008. 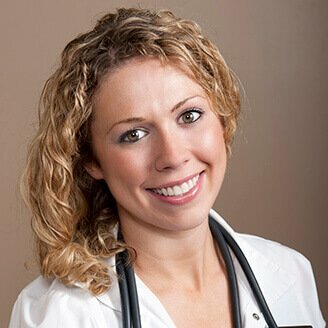 She has since gained a reputation as an expert in treating Lyme Disease & tick-borne infections. Given that she has personally been impacted by Lyme Disease, she is passionate about promoting public awareness and lectures on Lyme Disease to both doctors and patients nationwide. She is an active member of the ILADS organization (International Lyme and Associated Disease Society). Dr. Schertell has several other passions in addition to the above. She is a member of the American Academy of Anti-aging Medicine and has extensive training and experience with Bio-Identical Hormones (BHRT) for both men and women. She is trained and experienced in natural-based aesthetic therapies, including PRP Hair Rejuvenation, PRP Facial Rejuvenation (often referred to as a Liquid Facelift or the Vampire Facelift), micro needling, and hyaluronic acid fillers. Other areas of expertise include endocrine disorders (particularly thyroid and adrenal dysfunction), auto-immune conditions, and GI disorders (SIBO, Crohns, IBS, others). Dr. Schertell believes that prevention is the best medicine, and this is what lead her to practice the FDA-approved screening technology known as Digital Infrared Thermography. This cutting-edge technology is growing in popularity as a breast cancer screening tool, offering the potential for earlier detection of breast disease than has been possible through breast self-exams, doctor examination or mammography alone. Dr. Schertell designed her bachelor’s degree and pioneered as the first student to graduate from the University of New Hampshire with a background in Pre-Naturopathic Medicine. She then went on to attend a 4-year medical school and earned her doctorate from the Southwest College of Naturopathic Medicine in Tempe, AZ. Dr. Schertell is also a board certified clinical thermographer (CCT) trained by the American College of Clinical Thermology, and member of the American Association of Naturopathic Physicians. Schedule a Complimentary 15-Minute Phone Consultation with one of our Providers Today! There is ample free parking in the lot outside of our building.